Today I went to the Art Gallery of Alberta. 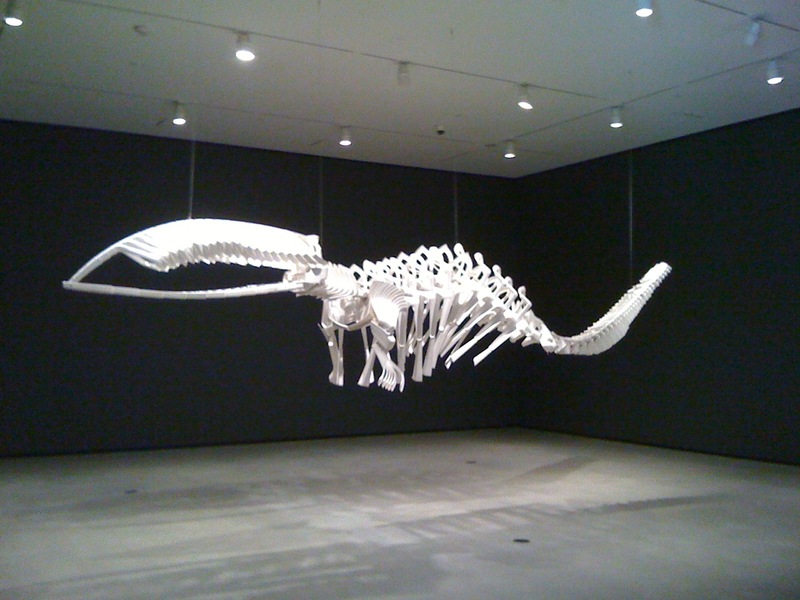 There were several great exhibits on display but the Brian Jungen exhibit stuck out for me. This man takes ordinary objects, deconstructs them, and creates the most amazing structures! I was particularly take with Shapeshifter and Cetology. 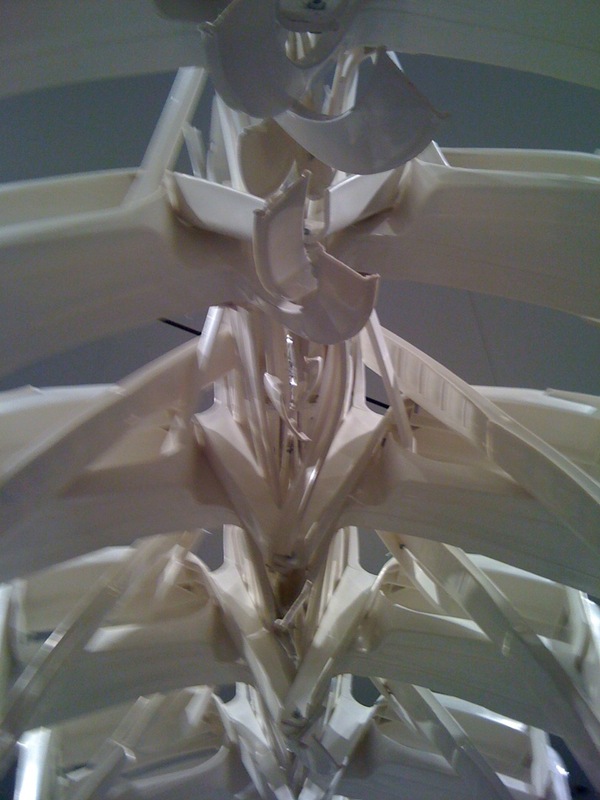 These were massive whale like skeletons that floated in the gallery. 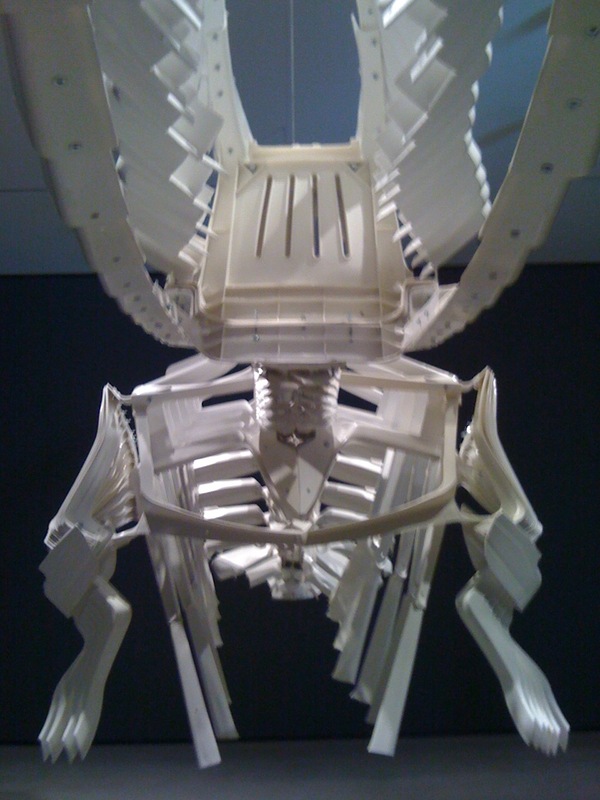 These particular sculptures were created from white resin lawn chairs. 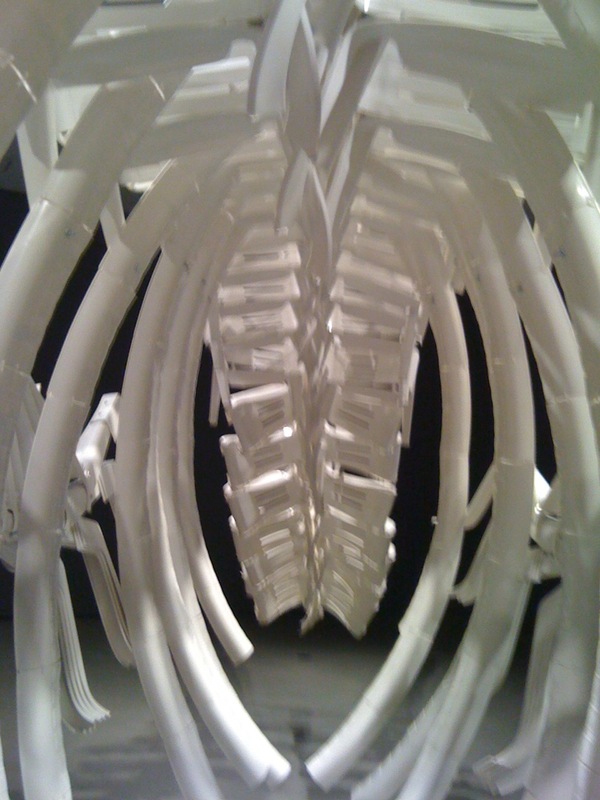 It astounds me that a human can look at a chair and think…whale. He invites people to take pictures and post them on flickr. So I did. You can view all my pictures by accessing the photo gallery on the bottom left of my blog. Jungen is the bomb and this is a pretty good exhibit. Although Carapice was a bit of a disappointment, I thought it would be a heck of a lot bigger. What did you think of Phillips’ Water and Woods and the stuff by the ‘Nabis” pretty cool huh. Paul Gauguin, whom I hope you saw at Musee D’Orsay in Paris is too brilliant and even his little munchkins had something great to say. Hypnotic, evocative and exotic. I agree with you about the carapice! It was also ugly but I loved the light play on the floor. I think Phillip’s paintings of Johnsons Caynon was stunning. The way he captured water was moving! I prefered it to his prairie scapes. Some of his work reminded me of Emily Carr. Her’s is the next exhibit I am excited to see! Very cool! You can’t tell at all from a distance that you’re looking at lawn chairs. In that first pic, I had no idea – looked like a real skeleton to me. Most impressive. I can’t believe he went to Canadian Tire, bought a1000 lawn chairs and thought this will be a whale. He made masks from Nike Air Jordans. I saw pictures of those. The man has quite the vision! I first saw this exhibit several years ago in Vancouver. I have since seen it many times, and it never ceases to amaze me. Incredible work. I’m with you…white chair to that….wow….amazing!